The Challenger 300 is a super mid-size twin engined business jet. 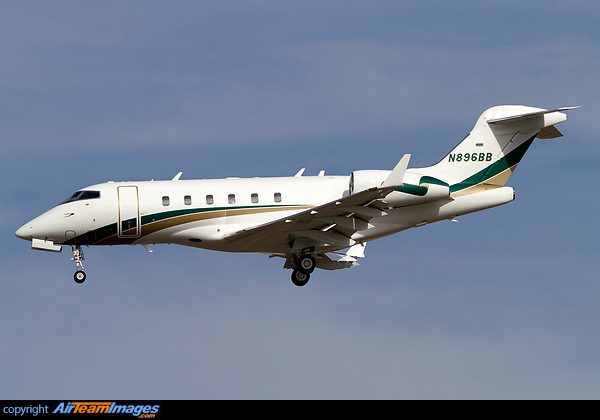 It is an all new corporate aircraft designed to fit in the Bombardier range between the Challenger 604 and the Lear 60 . The cabin is particularly wide and high for its class. 2 x Honeywell HTF7000 (6500 - 7500 lbf) turbofan engines.